Need to publish a paper quickly for the REF? Then come to our free Open Access event this Wednesday in the EBC! Publishing via an open access route often results in much faster publication times, meaning your research is out in the public domain much more quickly than traditional subscription journal routes. BU fully supports open access publishing and has recently launched a central Open Access Publication Fund to enable academic staff to access funds to easily publish via open access outlets. We’re holding an open access publishing event this Wednesday between 10am-12:30pm in the EBC (7th floor). It is free for BU staff and students to attend. Refreshments and lunch will be provided. To reserve a place at the event please contact Anita Somner by email. Come and find out all about open access publishing! To celebrate the launch of BU’s new Open Access Publication Fund we’re holding an open access (OA) publishing event on 26 October between 10am-12:30pm in the EBC (7th floor). The aim of the event is to dispell some of the myths surrounding OA publishing and alleviate concerns about publishing through this route, whilst discussing the benefits and opportunities of making your work freely available. The event will open with a keynote presentation from one of the world’s leading OA experts Dr Alma Swan, followed by a presentation from Willow Fuchs from the Centre for Research and Communications at Nottingham University who will be speaking about the SHERPA open access projects. The event will also feature talks from two BU academics: Prof Edwin van Teijlingen who has published via OA journals and is an OA journal editor, and Prof Peter Thomas who has also published via OA outlets. There will also be the opportunity to find out more information about the new BU Open Access Publication Fund, and how you can access funds for OA publication costs. Dr Alma Swan is one of the leading figures in the field of OA publishing. She is the co-founder and director of Key Perspectives Ltd, a consultancy firm specialising in scholarly communication, and holds honorary positions with the University of Southampton and the University of Warwick. Alma is Convenor for Enabling Open Scholarship, the global organisation of universities promoting the principles of open scholarship in the academic community. It is a great honour to welcome her to BU! The event will take place on Wednesday 26 October between 10:00-12:30. It is free for BU staff and students to attend. Refreshments and lunch will be provided. Creative Commons is a non-profit organisation that develops, supports, and stewards legal and technical infrastructure that maximizes digital creativity, sharing, and innovation. They believe that academic research, journals, and data should be available to everyone, and are one of the leading organisations in the Open Access movement which is making scholarly research and journals more widely available on the internet. The world’s largest Open Access publishers all use Creative Commons licenses to publish their content online. Today, 10% of the world’s entire output of scholarly journals is Creative Commons licensed. 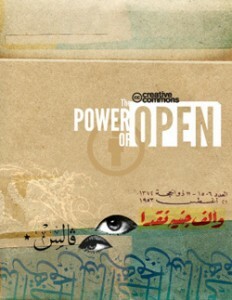 A new book ‘The Power of Open‘ (published by Creative Commons and available to download from the link) contains many examples of projects and individuals from around the world whose work has been brought to a wider audience. Many research funding bodies now have open access mandates and a list of these requirements is kept up to data as part of the Sherpa-Juliet project. The European Commission, for example, introduced an open access pilot mandate in 2008 which required that the published results of European-funded research in certain areas be made openly available. This pilot policy will soon be extended to all EU-funded research. BU’s Open Access launch event on 26 October! These requirements have been put in place by funders to maximise the public dissemination of research findings. Despite these open access mandates some funders are reporting that researchers/universities are not compliant; recent research undertaken by the Wellcome Trust indicates a compliance rate of less than 50%. When preparing a research proposal consider open access publishing as part of your dissemination plan. Some funders will allow you to include open access publication costs within the grant providing that the costs are included at the time of submission and are incurred prior to the end of the grant. Check the funding call guidelines for further information and discuss your open access plans with the CRE Operations team when preparing the costing for your proposal. BU’s Open Access Publishing Fund to go live! The Senate R&E Committee has approved plans for a BU Open Access Publishing Fund. The fund is due to be launched in August 2011 and will be managed by the Pro-Vice-Chancellor (Research, Enterprise and Internationalisation) and the Research Development Unit. But what is the BU Open Access Publishing Fund and why is this such a big dea for Research at BU? What is open access publishing? Open access publishing turns the traditional publishing route (readers paying subscriptions to publishers) on its head as researchers pay a fee to the publisher to publish their research and in turn the publisher makes the article available free of charge to readers immediately on publication. Why is this beneficial? Open access publishing enables research findings to be disseminated to a wider public audience, typically with significantly faster publication times, than traditional journal publishing. The European Commission’s policy on open access publishing notes that the broad dissemination of research findings can accelerate scientific progress and has significant benefits to both the scientific community and to society. What is the view of research funding bodies? Many funders require the research they fund to be made freely available, free of charge to any readers upon completion of the project. A full list of funders with open access requirements can be found on the Sherpa Juliet website, and includes all seven Research Councils, the European Commission, the Wellcome Trust and the National Institute for Health Research (NIHR). These requirements have been put in place by funders to maximise the public dissemination of research findings. However, despite these open access mandates funders are reporting that researchers and therefore HEIs are not compliant; recent research undertaken by the Wellcome Trust indicates a compliance rate of less than 50%. An institutional open access publishing fund can increase compliance rates with funding body open access requirements. Publication times – Papers can be published significantly faster than traditional journal publishing methods and therefore BU would not be as constrained by traditional publishing deadlines; more articles could therefore be published prior to the REF publication deadline and be eligible for submission. Citations – Open access publications are more widely available and are therefore more likely to be cited. Research impact – Open access publication is a way of enhancing the visibility and increasing the impact of research findings. Research findings made freely available to society at large are likely to have wider societal impact. Do other institutions have open access funds? A number of international research institutions have already established institutional budgets and processes for open access publishing, such as the Max Planck Society’s Central Open Access Fund and the University of California Berkeley’s Research Impact Initiative. In the UK the University of Nottingham has led the way by establishing an institutional open access publishing fund. How can open access costs be met? A number of funding bodies (such as the Research Councils and the Wellcome Trust) allow researchers to include open access publication costs as a directly incurred cost providing that the costs are included in the original costing and are incurred prior to the end of the grant. For all other open access publishing costs, researchers will be able to apply to the new BU Open Access Publishing Fund. Requests to the fund will need to be made to the Research Development Unit and will then need to be approved by the Pro-Vice-Chancellor (Research, Enterprise and Internationalisation) and the relevant REF UOA Leader. When will further details be announced? We are currently working on a policy, process and communication plan and further announcements will be made via the blog before August 2011. 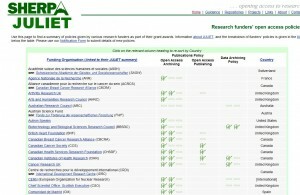 What about any open access requests between now and the end of July 2011? If you have any open access publishing requests before the BU Open Access Publishing Fund is launched in August 2011, please discuss these with your Deputy Dean (R&E) / equivalent and Julie Northam. Where requests are justifiable (i.e. high quality open access outlet, likely to be submitted to the REF, likely to increase the impact of the research findings, etc) then we will endeavour to accommodate these within the CRE budget where possible. For further information on open access publishing the Research Information Network published a guide to Paying for Open Access Publication Charges in February 2011. Also see the Public Library of Science (PLoS) website.